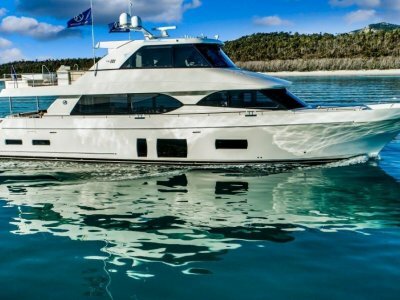 Alexander Marine Australia are proud to present this beautiful 2014 Ocean Alexander 85 to the market. 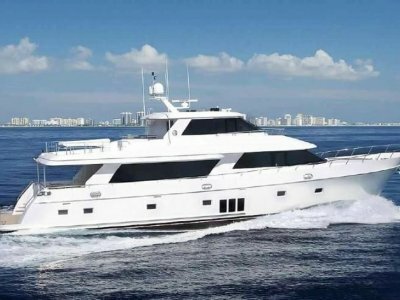 This vessel has been personally inspected by our dealer principal in November 2017. 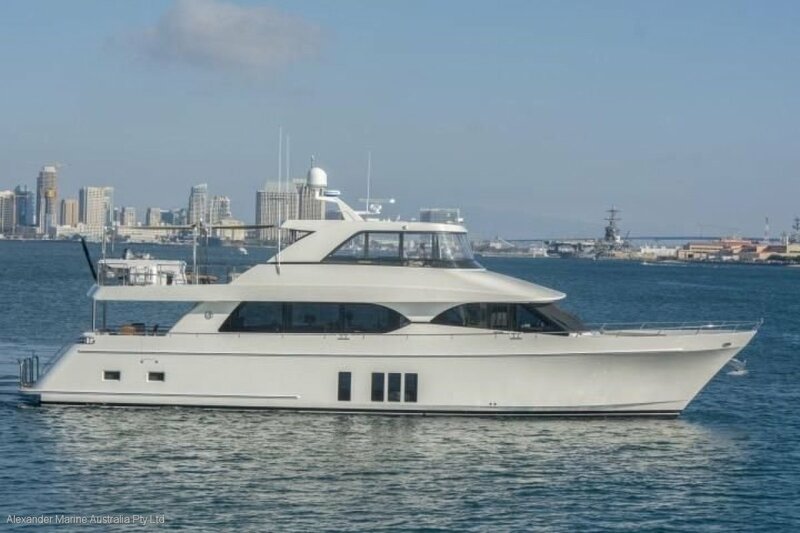 This Ocean Alexander is in superb condition and outfitted to the highest standard by a knowledgeable owner and crew. Many recent upgrades. Keypower Hydraulic Stabilizers (Upgraded to 12sq ft fins). Rope Cutters on stabilizers. Spurs on propellers. Ecomar waste treatment system @ 2270 litres per day. Crew Quarters includes kitchenette with sink, microwave and refrigerator/icemaker, TV/DVD, Maytag washer/dryer. Ocean Alexander quality build and design. A must to inspect. Lying West Coast of USA. Please note: Great Southern Marine are the official Ocean Alexander dealers for Australia & New Zealand. As such we benefit from superior product knowledge and the ongoing resources of the Ocean Alexander Factory and production staff. 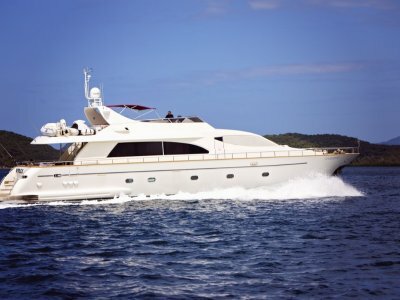 Buy your next Ocean Alexander vessel with utmost confidence via our office. Twin MTU 10V2000 with wireless yacht controller for MTU Smart Line electronic controls and fuel polishing system. Keypower Hydraulic bow and stern thrusters. Additional cover for sunroof. 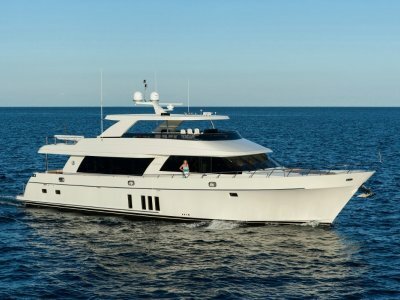 Full enclosure on flybridge with sliding panels on sides and aft. This vessel has a 4 cabin layout with 4 heads. New galley layout with cabinetry storage under stairs. Marble countertops. Custom S/S potholder for cooktop. Franke single sink with pull out faucet. Whirlpool garbage disposal. 30" Jennair Microwave. Whirlpool Trash Compactor. Fisher & Paykel Dishwasher. Hydraulic Windlass VR4000. Stainless steel plough anchor 125lbs w/300 ft anchor chain and chain stopper. Two Muir Vc2500 Vertical electrical rope winches for aft deck. Hands free anchor chain wash system. Chain counter. Hydraulic 1750 lb davit. 8 man liferaft. Fireboy extinguisher system with engine shutdown feature. Upraded AV throughout vessel. Installed Wave Wifi. XM Radio & additional radar. Inverter package. Octoplex NEMA 2000 electrical control system. Shorepower 100 + 50 amp with cable master. Victron 50amp engine charger. Victron 30 amp generator charger. Complete package of Furuno Electronics (dual stations). In addition, ICOM VHF hailer. Maretron Wind/weather. Maretron GPS, KVH Trac Vision HDTV. Marine camera for engine room and cockpit. Ritchie Compass 5.